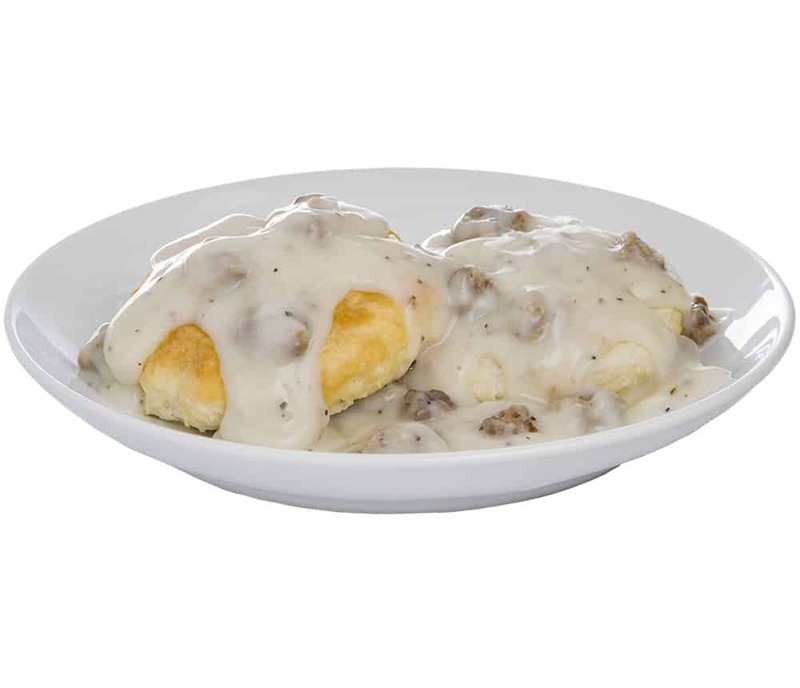 Braum’s Biscuits & Gravy makes for some of the best eating around. A generous serving of our large golden brown, freshly baked biscuits covered in our signature country sausage gravy, made fresh each morning. One bite and you’ll see why this has been one of our hottest breakfast items for years.